If you're about to buy a new home, it might seem a little early to think about how long you'll be living there. But whenever you have a mortgage balance, knowing your timeframe leaves you in a better position to deal with the financial obligations of homeownership. As of 2018, the median duration of homeownership in the U.S. is 13.3 years. However, homeowners in some cities have moved more recently—or more frequently—than groups in the rest of the country. We looked at the data to give you an idea of how long people in different cities tend to stay in their homes. 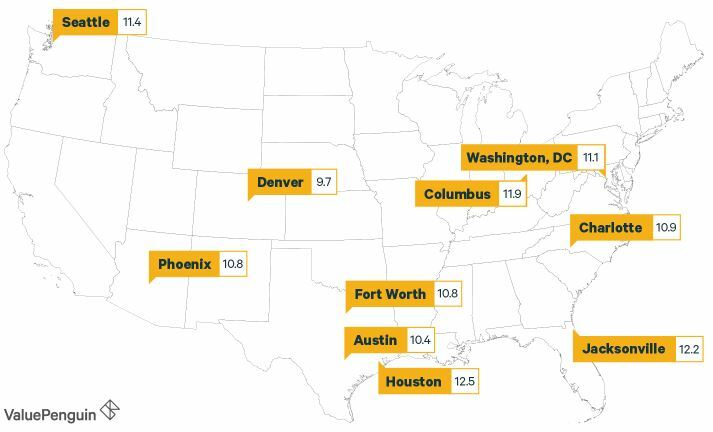 How Long Do Homeowners Stick Around in the Biggest Cities? An analysis by ValuePeguin, looked at the median years of residence for owner-occupied homes located in the 20 largest U.S. cities, as well as how the median stay has changed since 2014. In nearly every case, the data showed that homeowners are now spending less time holding onto their primary residences compared to recent years. 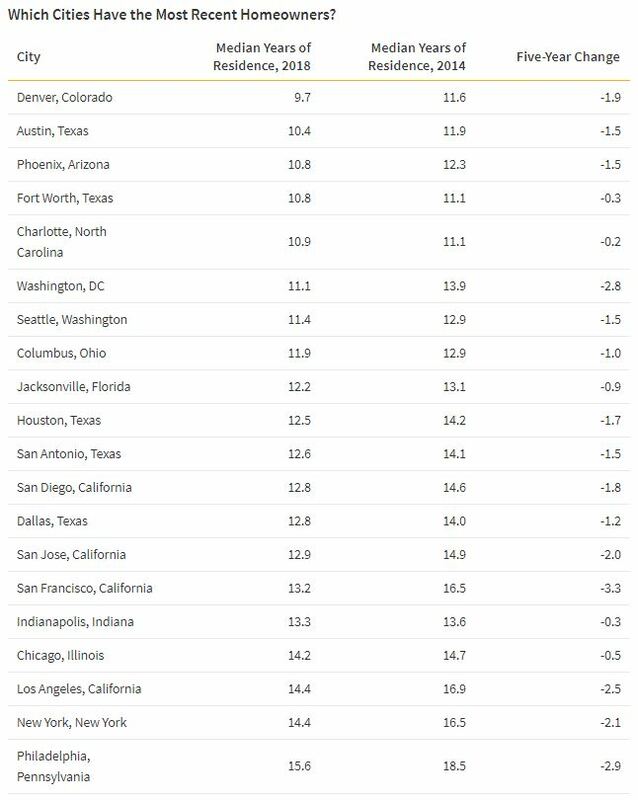 They found that the lowest median tenures were reported by some of the country's fastest-growing metropolitan areas, including Denver and Austin. In such places, it seems likely that the recent influx of newcomers knocked down the median years of residency for the overall population. As first-time homebuyers become a greater proportion of all homeowners, the median—as well as the average—will fall. In more established cities like Philadelphia or New York City, homeowners reported staying in their properties for longer periods of time. 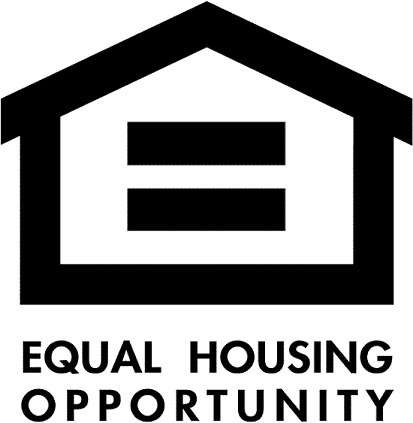 While this is likely due to more than one factor, this contrast could be influenced by the relative shortage of available housing. While a short supply increases the seller's chances of making a profit, it also means sellers will find it harder to find and purchase their next homes. Are Homeowners Moving Out More Quickly? If you take the short view, it's true that people are moving out more quickly: the median years of residence for homeowners in the U.S. has decreased since 2014. But in historical terms, this figure has seen relatively little movement. Data from previous decades shows that the median tenure for homeowners has been at historic highs since 2008. In short, American homeowners are beginning to move more frequently than before, but they have yet to return to their historical levels of mobility. Possible reasons for this include the effect of economic uncertainty, the movement of housing values and the rise of mortgage rates. Immediately after the 2008 economic crisis, many homeowners found themselves underwater on their mortgages as a result of plummeting values, and they stayed put in order to rebuild their equity. This led to a significant increase in the median number of years homeowners stayed in their properties before moving on. As the economy recovered, the situation changed: home prices rebounded, and the median years of residency declined once again. This suggests homeowners may be taking advantage of higher demand and lower supply in the housing market to sell their homes and move on to the next property. However, homeowners are ultimately buyers, too. Those who choose to sell and move may find it difficult to find reasonable prices on their next home. Finally, increasing mortgage rates discourage those who already have a lower fixed-rate mortgage to finance a new home purchase. How Does Homeowner Tenure Affect Your Finances? The number of years you stay in a house determines how much you'll pay back on the mortgage you took out when buying it. A longer stay gives you the opportunity to pay back a larger portion of the money you borrowed to purchase the home. Since most mortgages are scheduled to be repaid over a 30-year term, you can easily estimate how much equity you'll build by the time you're ready to move. Consider a 30-year mortgage with the current national average rate of 4.56% and an initial down payment of 20%. If you made monthly payments on that mortgage for the median tenure of 13.3 years, then you would have built up at least 43% in equity—assuming no decrease in property value. Once you understand how much equity you'll have at the point you want to sell, you'll be able to budget for your next home with greater confidence. Finally, it's important to remember the fixed costs of buying and moving into a house. Mortgage closing costs, property taxes, agent commissions and moving expenses all contribute to the upfront costs of a new home. If you move out too early, the amount you spent acquiring the property may outweigh the equity or appreciation you've collected up to that point.